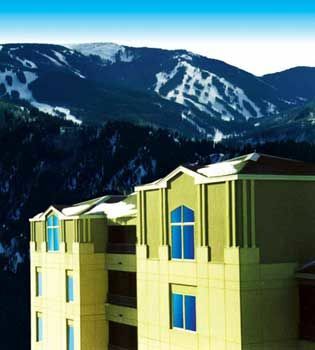 In the heart of Vail ski country, you’ll find the Lakeside Terrace Resort. 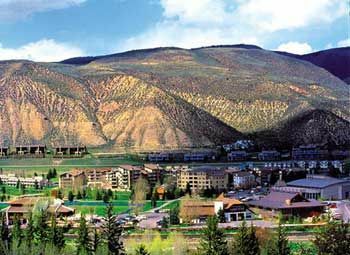 Located within the city of Avon, Colorado, this favorite family vacation resort is well situated for winter fun in the Beaver Creek ski area including downhill and cross-country skiing, snowmobiling, horse-drawn sleigh rides, and snowshoeing. However, you don’t need snow on the ground to love this vacation destination. When you buy timeshare at Lakeside Terrace, you open the door to a world of fun and recreation for couples and family members of all ages. All of the 2-bedroom Lakeside Terrace timeshare villas include 1400 square feet of spacious accommodations for up to eight adults. Each unit offers you a private patio or balcony with gas grill, an interior gas fireplace, whirlpool tub in the master bedroom, fully equipped kitchen, washer and dryer, and flat panel televisions and DVD players. On-property, you will also enjoy a restaurant and swimming pool—but that’s only the beginning of the entertainment and activity packed into Lakeside Terrace timeshare vacations. Although many vacationers choose Lakeside Terrace timeshare ownership because of the resort’s locale for winter sports, you’ll want to take in all this resort offers for enjoying every season of the year, including the location adjacent to the area’s biggest July 4 fireworks spectacular. Of course, with Lakeside Terrace vacation ownership, purchased at the value pricing available only in timeshare resales, every day you are vacationing will be your own personal “Independence Day” from the ever-increasing cost of vacationing in hotels, motels, or private home rentals. 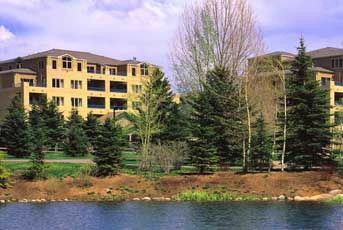 As a guest or timeshare owner at Lakeside Terrace, you’ll receive exclusive key-card access to select amenities at the nearby Sheraton Mountain Vista, a sister property that, like Lakeside Terrace, is also part of the Starwood Vacation Ownership brand. These amenities include the Gaming Zone, resort sports equipment and gear outfitter, and the Mountain Vista Market. Behind the Lakeside Terrace resort is the 40,000-square-foot Avon Recreation Center. As a Lakeside Terrace vacation owner, you’ll have privileges to use the Rec Center’s heated swimming pools, lazy river, water-climbing wall, diving well, 140-foot slide, spin studio, and fitness center. Your Lakeside Terrace timeshare is also adjacent to the 48-acre Nottingham Park and Lake Nottingham, making it easy to enjoy hiking paths, sports courts, paddle boating, fishing, seasonal ice-skating, and a playground for your children. The Nottingham family, early settlers in the area, gave the city of Avon its name. The Nottinghams saw this lush, green, Colorado valley as being much like the Avon River Valley in England. They named the area as a tribute to Stratford-upon-Avon, birthplace of William Shakespeare. When you buy timeshare resales at Lakeside Terrace, the combination of vacation savings and a beautiful destination may even inspire you to pen a few poetic sonnets of your own. Moreover, it will absolutely inspire you to vacation more, vacation better, and spend a lot less money in the process. All you need to do now is shop the BuyaTimeshare.com inventory of timeshare resales and rentals and then start planning your next great vacation. Contact Lakeside Terrace In The Vail Valley Specialist Today!